Over half (51%) of small and medium sized businesses in the UK have been targeted by crime, costing owners up to £25m – or £2,625 for every crime. 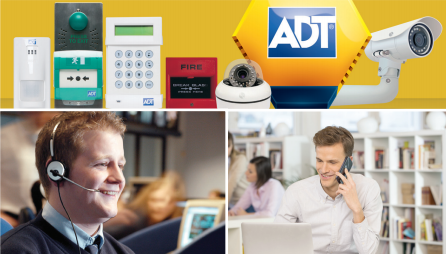 The study of 500 small to medium business owners, commissioned by independent charity Victim Support and security firm ADT, found that businesses are being repeatedly targeted by criminals which is causing them to lose up to 151 days of trading over the lifespan of the business. ​When it comes to effective security there’s little doubt that CCTV has a fundamental role to play across both the private and public sectors, yet there’s still a concerning number of UK businesses not using modern surveillance systems to their best effect. Many organisations will only invest in CCTV if they’ve experienced a crime on the site - an unfortunate but common situation. In addition, many end users remain skeptical about the technology, believing that cameras will only produce blurred images and not actually capture the right data for their purposes. Having to rebuild your business after theft or fire damage doesn’t just affect your bottom line,it can also harm your hard-earned reputation, which is even harder to recover. While all business owners hope they’ll never wake up to the bad news of a break-in or fire, few are aware of the consequences it can have on their life’s work and livelihoods. According to Community Central, eight out of 10 businesses affected by a major event never reopen, or close within 18 months.